Governor Larry Hogan on Wednesday announced the Board of Public Works’ approval of a new Text to 9-1-1 technology for Maryland, helping to update 1960s-era emergency systems with life-saving technology. This new Internet-based infrastructure will allow citizens to send a Short Message Service (SMS) text message to 9-1-1. The Federal Communications Commission estimates that more than 70 percent of all 9-1-1 calls now come from cellular users. 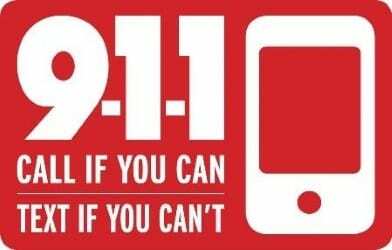 Text to 9-1-1 will support 160 characters per message, but no multimedia messaging, such as photos or video. The Maryland Emergency Numbers System Board, under the Maryland Department of Public Safety and Correctional Services, is responsible for overseeing Maryland’s emergency 9-1-1 system, including administering the 9-1-1 Trust Fund, which will fund the new technology.